The money, as ever, is playing its role in deciding telecom regulation. Battered by capricious rules, telecom companies can only pray. Some revolutions are violent, some are quiet. 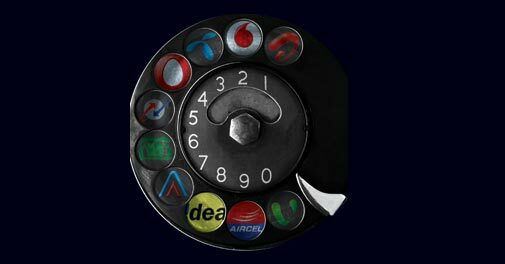 India's telephone revolution has been life-transforming. A nugget-rich read of the journey of India's most valuable lender, HDFC Bank. The health-care sector is changing. Lifestyle diseases such as diabetes are on the rise, and the growing spread of health insurance has made costly health-care facilities affordable. In the face of new market realities, Apollo Hospitals is focusing on no-frills hospitals in Tier II and III cities and on specialised clinics. In its 2011 Corruption Perception Index, Transparency International ranked India at 95 out of 183 countries. How can widespread corruption be curbed? Here are five suggestions. Your cover story Pulling Punches (December 9) has brought to light the general feeling of people about reports on various issues from weather to wealth, even in health. Mulled wine is a great companion for a cold winter evening. While it's easy to get wrong, it's not hard to make it the right way either. Here's how. Ready to cook on a lava rock? Adopting new and convenient audio technologies makes for a sound idea. A global study of business leaders across countries by human resources firms Right Management and Tucker International lists the imperatives of succeeding in a global set up, and shows Indians are poor at building trust. Not often does an acquired company give the acquirer a run for its money in the market. This case study looks at how Punjab Tractors Ltd, which was hardly in the best of shape when Mahindra & Mahindra acquired it in 2007, was turned around, and today does exactly that. IKEA has announced plans to invest Rs 10,500 crore in India. The proposal is now awaiting clearance from the Cabinet Committee on Economic Affairs. In India, the company may have to alter its business model to comply with riders on its investment proposal. There are plenty of managers who have trouble asserting themselves. The ability to be firm when required to is a vital skill managers need, but many are found lacking in, say leadership coaches.